One of the most compelling reasons to consider breeding ewe lambs and doe kids is genetic improvement. Your lambs and kids should have the best genetics on your farm. Breeding them early will reduce the generation interval and accelerate genetic improvement. 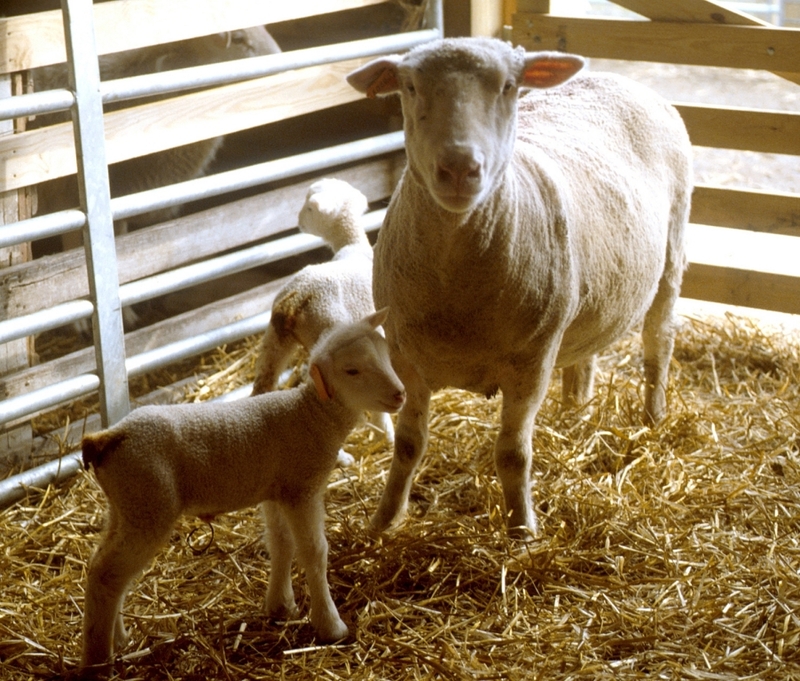 At the same time, ewe lambs and doe kids have lower conception rates, give birth to fewer offspring, produce less milk, and are more likely to experience problems during the periparturient period. In addition, there may be sacrifices in growth. Ewes and does that are bred early may not catch up (in weight) until their second or third mating. For this reason, producers who show yearlings often delay breeding. Size (weight) is a more important consideration than age when deciding if/when to breed ewe lambs and doelings. 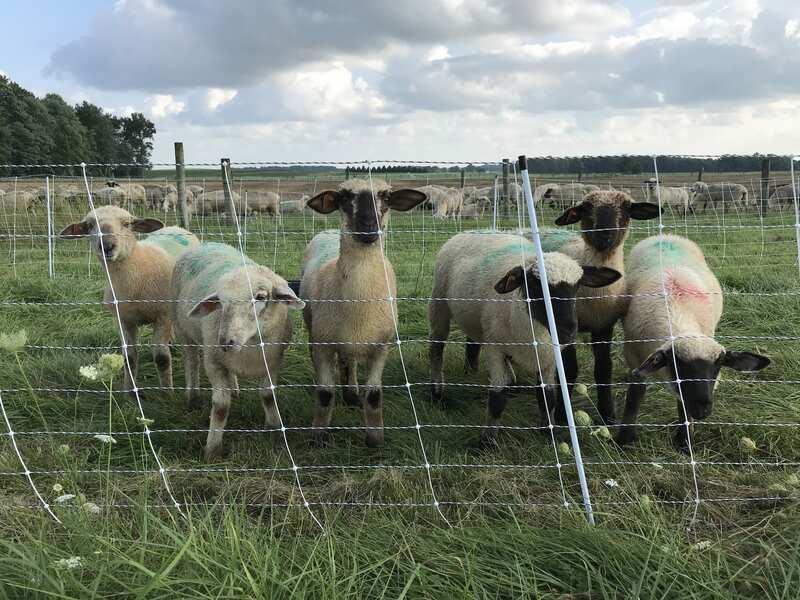 Ewe lambs and doelings should achieve approximately two-thirds of their mature weight (at the start of the breeding season) before being bred. It is often necessary to feed some grain to get ewe lambs and doe kids big enough for breeding. At the same time, ewe and doe replacements should not be fed for maximum gain, as this could be detrimental to future milk production. Fat deposits in the udder, caused by overfeeding, may negatively impact milk production. Because pregnant ewe lambs and doelings are still growing, they have higher nutritional requirements than mature females. They are also less aggressive at the feed trough. For these reasons, they should be fed and managed separately from mature females. In fact, they should not be mixed with the mature flock until they have weaned their first offspring. Better yet, they should not be mixed with mature females until they are bred for the second time. 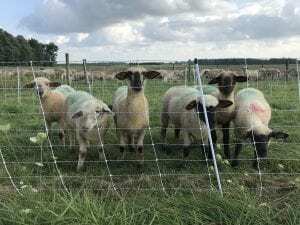 Yearlings that are nursing offspring, especially multiples, should be more closely monitored for signs of low performance and internal parasitism (worms) when reared on pasture. Posted by Braden Campbell at 8:00am September 5, 2018 Posted in Reproduction and tagged Management, Nutrition, Reproduction. Bookmark the permalink.